Can't decide which plant to send? 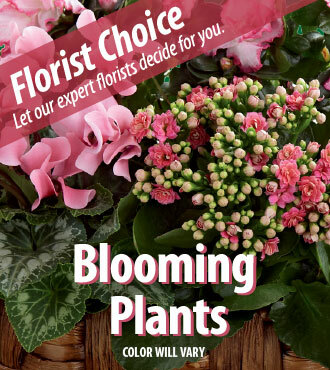 Let our expert florists design something special with their most beautiful selection of blooming plants. Give a stylish gift of beauty that makes a lovely presentation - appropriate for any occasion! Type of plant, floral colors and container varieties will vary depending on local availability.